For many people, you could also add Chocolate Hills to the list. What to do in Banaue Rice Terraces? The Banaue Rice Terraces are a UNESCO World Heritage Site. By many people, they are considered one of the best places to see rice terraces. From doing research on the Rice Terraces, many people claim that Batad is even better than Banaue, which is 1 hour further from Banaue. Banaue is 9 to 10 hour bus trip from Manila. This is why most buses leave at night. There are no flights into Banaue. 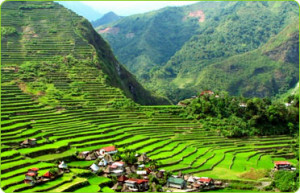 When to go to Banaue Rice Terraces? Harvest time is in August in Banue. September is planting season in Batad. 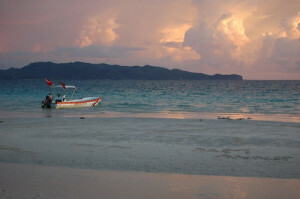 What to do in Palawan? 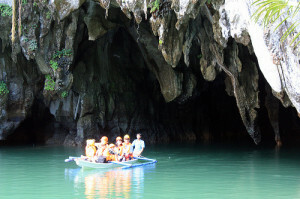 The main item to do is St. Paul’s Subterranean River National Park (aka Puerto Princesa Subterranean River National Park or Underground River). This is considered one of the 7 Natural Wonders of the World. It is arguably the longest river in the underground world. The Underground River is a full day activity where someone will arrive back at night. 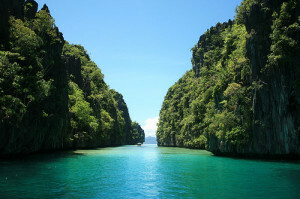 After Underground River, you then should head up to El Nido, which one of the most beautiful places in all of Philippines. It takes 5 hours. The earliest transportation heads up at 7, 9:30, 11, 1:30, and 6:30 pm. The bus heads back at 5, 7, 9 am, 1 pm, or 6pm. You can then expect to spend a full day hopping islands in El Nido. This activity would take take up most of the day, but would allow someone to take a bus back to Puerta Princesa that evening. Boracay is considered the best place to party in the Philippines. The hills are best when they are brown showing the most contract. In August, they are green. Cebu Pacific has flight daily from Kalibo to Bohol Island (Tagbilaran City) or could fly from Manila. Given my limited time, I will pass, but it doesn’t seem like something that is more than a day activity. While I ended up taking a slightly different trip within the Philippines (partially due to floods in Banaue), it is confirmed that Philippines is a great place to visit. Click here to learn more about my adventure.